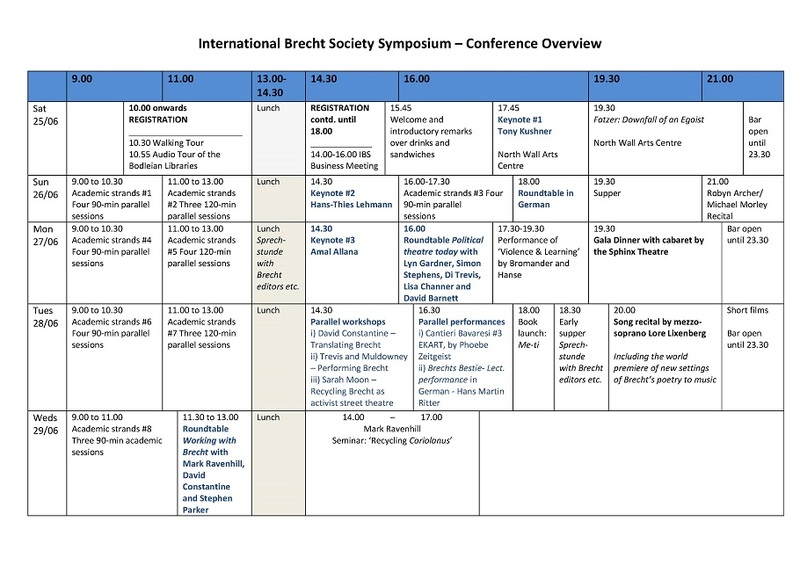 Welcome to the programme for Recycling Brecht! In order to access the full conference programme, please click the tabs above. For a quick overview of the whole conference, see the outline below.